And now you can hire Aaron as your personal SEO coach for only $10 per day! A special opportunity for 1,000 webmasters to learn directly from Aaron Wall & the SEOBook team! 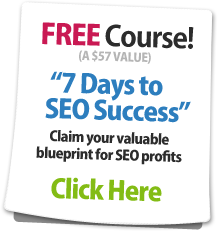 Over 100 training modules covering topics such as keyword research, link building & many more! Exclusive community & forum access. Members only videos and tools. The number 1 competitive research tool in the SEO market. The most popular rank checking application on the web. Explore more keywords with the Coolest Keyword Research Tool! Hundreds of training modules & advanced tools. See what our members say about the #1 SEO Community forum. Inside our training program you'll find hundreds of articles, advanced tools, training videos, downloadable strategy guides, and other resources packed with practical tips to help you market your website, build viral buzz, capture top search engine rankings, improve website monetization, and increase conversion rates.